Okay, so I know I've been very quiet on here lately, but it's not without reason. Back in early May I started a new not-quite-jewelry-related project and something that I've dabbled in off-and-on but not pushed as hard as I have with this one............. writing a novel. I've started many and eventually I may finish them. However, spurred on by some unpleasantness I was (and still am) dealing with in my life, I started writing again more seriously and the Lord brought this idea into my mind while working on a completely different book. And, I am exicted to announce, after just over 2 months of writing and another 2 months of editing, rewriting, re-editing, coverdesigning, and hireing a formatter the book is complete!! So, without furture ado, allow me to introduce my first novel! 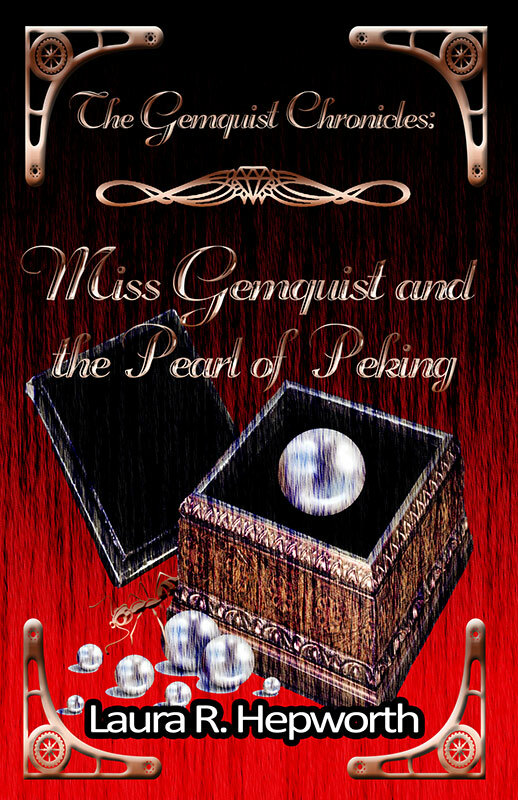 Book 1 of 'The Gemquist Chronciles": Miss Gemquist and the Pearl of Peking! Synopsis: Miss Loralai Gemquist, the 23-year-old daughter of famed gemologist Jacob Gemquist and granddaughter of Lord Bramwell Gemquist, The Baron of Aethleton, thought that her life couldn’t get more difficult than surviving the London Season and the schemes of her match-making aunts. But when she discovers an anonymous note, her life will never again be the same. Thrust into a world of shadows, secrets, and intrigue, she’ll be forced to use all her wits, intellect, and knowledge of gemstones as she tries to prevent a war when a priceless, Chinese pearl is stolen. Along the way, she’ll meet some unexpected allies and make some dangerous enemies as she learns who she can trust, but just one false step and it will be more than her life on the line. The ebook edition is already up and available on Amazon for just $2.99. It is also available for free through Kindle Unlimited and the Kindle Online Lending Library. A paperback edition is also in the works and will, hopefully, be made available next week if everything goes well. Also of note is that I plan on creating a jewelry collection to coincide with the piecees described in the series! So, stay tuned for more information!